Today's WEGO prompt: Choose a book and open it to a random page and point to a phrase. Use that phrase to get you writing today. Free write for 15-20 without stopping. Since I wanted the book to be random as well, I had my youngest (seven years old) pick out the book. She giggled when I told her what her assignment was, so I knew she'd find something fun. 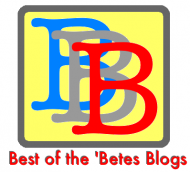 She found something fun and extremely challenging to write about. 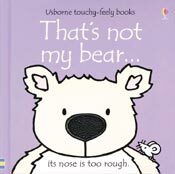 She found That's Not My Bear from Usborne Books. (We don't get rid of books usually. They come in handy when we have young visitors.) The page she picked for me to write about says, "That's not my bear. Its tongue is too scratchy." Now how am I supposed to write about that??? Can I somehow work with this to relate to my medical condition? I'm up for the challenge! "That's not my bear. Its tongue is too scratchy." How about: That's not my diabetes. Its complications are too scary. Or maybe: That's not my diabetes. Its roller coaster is too all over the place. Yes, it would be so nice to say, "That's not my diabetes." I would love to just dismiss it. Brushing it off would be easier than dealing with the facts. Easier than the fear of complications. Of course I could also follow the thought of what is my path. Afterall in this book the mouse is trying to find its bear. "That's not my path. It's not where I'm meant to go." At the end of the book, the mouse finds its bear. "There's my path. It's right where I belong."